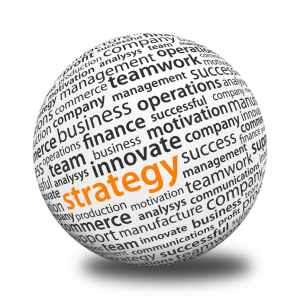 Strategic planning enables your organization to shape and guide its overall business objectives. Through effective strategic planning, your organization creates a framework for developing, adapting and aligning organizational vision, mission and goals to achieve and sustain competitive advantage. Through the process of a SWOT process (Strengths, Weaknesses, Opportunities, and Threats), your company will re-establish their vision, mission, long and short term goals, and strategies. Formulating strategic plans to help your organization advance and direct growth. Creating/Revisiting the vision, mission, goals, and values that will move your company forward. Identifying the strengths, weaknesses opportunities and threats (SWOT) that drive strategy. Identifying strategies to better position your organization for long-term competitive advantage. Executing strategy and deliver results through people and processes. Establishing strategic planning, monitoring and controlling mechanisms that ensure positive results. Communicating the strategic plan throughout the organization. Why hire a professional facilitator for strategic planning? If you want to ensure a level playing field between the CEO and the team members. WE have the skills to make sure the CEO does not take over and run the meeting. Also, It is extremely difficult if not impossible for the CEO or other inside person to effectively facilitate because the other people will still react to the CEO or inside person as their superior thus limiting open, honest, feedback and discussion. You want to complete the process in a timely manner and profit from the time a team spends in planning. The facilitator will commit to making sure you finish the process in the time allotted to do so. When you need to address sensitive issues and conflicts. We bring the benefit of a dispassionate perspective and can more effectively diffuse arguments and channel intense moments into a problem solving opportunities. When your team is not making any progress. We will raise issues that you may try to avoid and will point out the dysfunctional behaviors that are being denied. When your group must address complex issues with diverging viewpoints. We will help to identify the issues, generate options to resolve issues, and make decisions.